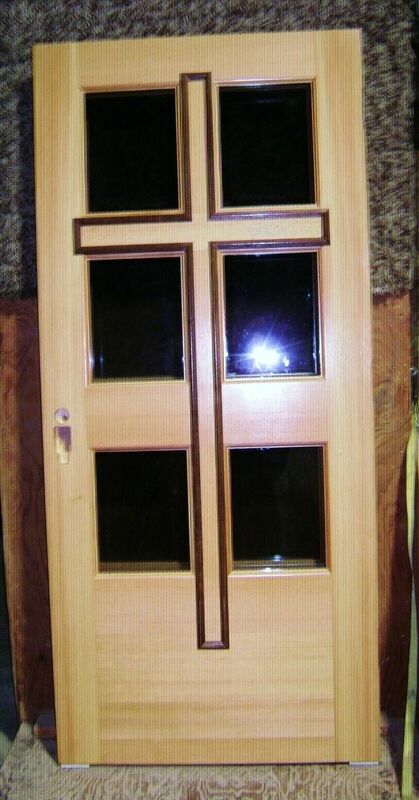 This Church Door could be made in any species of wood. Shown as Fir with Black Walnut Cross. Gray tint over clear insulated glass. These look real nice as a pair. 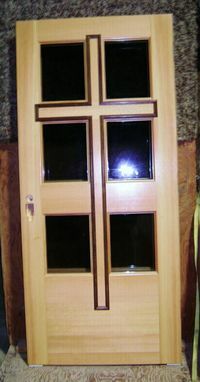 Price shown without jamb and prefinish.